Cryptocurrency trading is an extraordinary opportunity because the price volatility is much wider than in equity markets. What would normally take weeks to attain in gains I have achieved in much shorter time frames. Rather than doubling down as my stack has grown, I bank my profits back into the majors: the largest blockchains such as Bitcoin, Ethereum, Neo. These particular cryptocurrencies are great savings opportunities because they not only appreciate in value, but they pay out extraordinary dividends in the form of forks. When I first started trading Bitcoin there was no such thing as Bitcoin Cash. That opportune fork happened to be a great ancillary benefit, a cherry on top of my proverbial sundae so to speak. My goal in trading is rather simple. Gain more of the majors at all costs. February and March were great times for acquisition. While long positions presumably lost value in fiat terms, I took advantage of short trades to gain more Bitcoin and Ethereum on Bitfinex, a cryptocurrency exchange enabling margin trading. Once I reach a target profit target I bank those savings into a Trezor or a Ledger Nano S. Great money managers seek out strong custodian solutions for holding their portfolio. Until now, I have relied on splitting up my funds among several hardware wallets and storing them at several secure deposit boxes. On top of this, I secured my recovery phrases, the 24 seed word card that must be filled out when you acquire a Trezor or Ledger Nano S, in different locations from where those cold wallets are stored. I tradeoff convenience for the high level of security with my methods. Lastly, I also tradeoff the liquidity of my funds just in case I need access to them quickly for any reason. Forks are new to me and have reshaped my investment strategy. When I think about trading gains I think in terms of Bitcoin, Ethereum, and Neo. These are, to date, the most popular blockchains and it is from these blockchains that new projects spawn from. For the uninitiated, a fork is a split in the blockchain in terms of how the underlying protocol operates. For example, when the DAO hack occurred there was a debate within the Ethereum community about whether to refund the lost funds (a hotly debated topic for the diehard fans of blockchain immutability) or to keep going on as planned. Ultimately, the Ethereum network split into Ethereum Classic (no refund for the those who were hacked) and Ethereum (the version that was temporarily rolled back). I luckily held Ethereum at that seminal moment. For every ETH I owned I now owned ETC. Today, Ethereum Class (ETC) and Bitcoin Cash (BCH) basically represent a 2.5% and a 15% dividend for my banked savings. That’s incredible for a trader. Claiming my forked dividends with my hardware wallets can be a real pain. Since I’ve split up my funds into several wallets at different locations I have to take on the unenviable task of bringing all of those funds together and go through the claimant processes. Obviously, when I bring all my wallets together I do not tell anyone because at that moment I am most vulnerable to a physical hack. When a fork happens, the dividends are sent to my address. But on the Trezor or Ledger Nano S web and chrome apps I have to wait for the company to announce they are supporting the fork. Once that announcement appears I also have to wait for their product teams to enable features to switch between the original coin and the forked coin. As much as I enjoyed the security of these hardware solutions, the back and forth of bringing together multiple wallets leaves another risk that is not often mentioned. When I take my Ledger Nano S and Trezor wallets to claim my forked coins I then need to reconnect to the net. Aside from the physical hack I mentioned earlier, I am now at risk of what is known as a man-in-the-middle attack or even backdoor attacks. Ars Technica first reported this past March a 15-year-old who successfully backdoored into the Ledger Nano S. These type of exploits have seriously made me reconsider how I store my savings. Arcana sent me an early invite to test drive their product. First impressions: beautiful, intuitive, comprehensive, and insured. I’ll break down each of these topics separately. The version of Arcana I have access to is their web app. It offers a typical login with a username and password. Next step is to enter a 2FA verification code. Good stuff. When I spoke to the team I was told of their net gapped machines and military-grade security protocols. The net gapped machines are their off-the-grid computers that only connect to the net when I need to transact. Data is further decentralized within their network as to further mitigate risk. Compare this solution to what I am doing now, where I store my funds on several cold wallets and hide the recovery cards in altogether different locations. Human negligence means I can also be my worst enemy. I simply cannot afford to take that kind of risk. Arcana’s web app is easy to navigate. Menu bars that lead me directly to where I want to go. Whether I want to just check my balance or create a transaction, the design of the app makes it easy to get to where I want to go. Lastly, the text description when I navigate through pages describe exactly what I am looking at. There’s no confusion anywhere when I use Arcana. 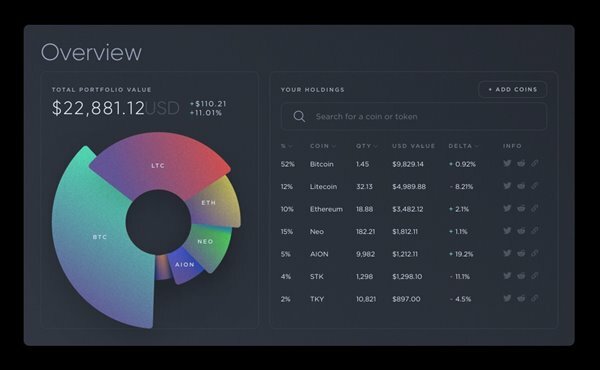 The wallet screen of the application offered me the choice of selecting which tokens to keep track of. Not only was there Bitcoin and Ethereum, but also ERC20 and NEP5 token standards. Typically, users would have to add in a unique Ethereum contract address or a NEP5 hash to add to their respective wallets in order for my balances to appear. Arcana instantly shows me my balances across the majors and my affiliated tokens. Typically with cold wallets, your funds are “mattress cash”. They’re sitting on the device (private key and public address) and I am not making them work for me, and if I lose it, then it’s lost forever. From the start, Arcana opens up a number of service opportunities. With my funds stored securely in their vault, Arcana can either partner or create financial service products backed by the collectively secured funds. Insurance companies are already evaluating the cryptocurrency space. There is no better bet than to ensure a financial solution that secures your funds while also making them liquid. Sounds like a win-win. 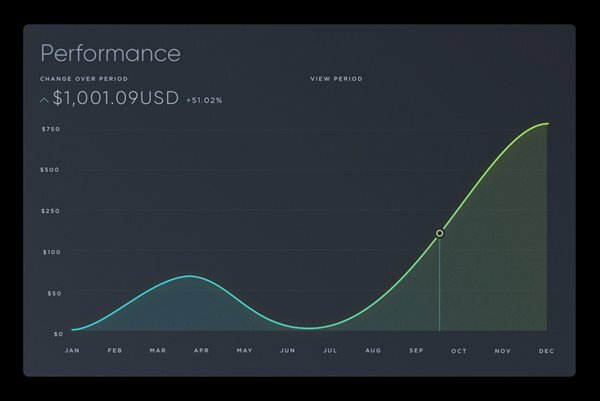 Arcana has a well thought out ecosystem for traders and savers like myself. Rather than store my digital gold in my personal vaults, I turn to professional custodian services with accompanying security and insurance offerings. If you have been looking to no longer make the secure but inconvenient tradeoff, I recommend taking a look at Arcana. Click Here for Beta Signup!